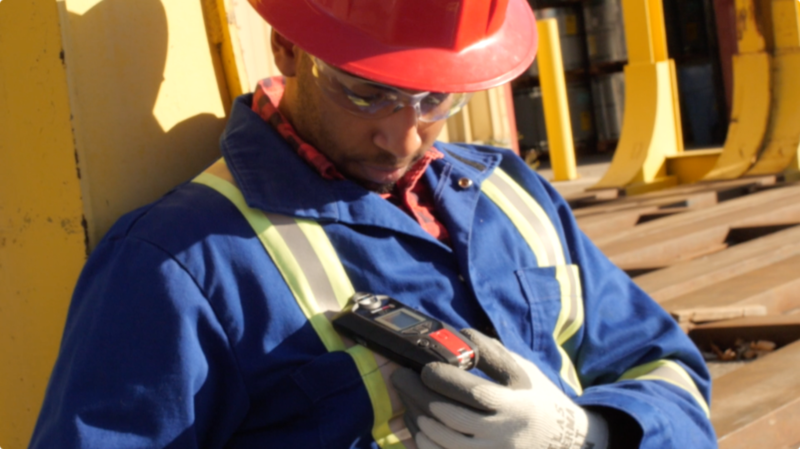 Blackline’s G7c is the world’s only gas detector and lone worker monitor certified to BS8484:2016, the standard that defines the requirements for lone worker safety monitoring products and service providers, ensuring that businesses are competent, and the functionality of lone worker devices is fit-for-purpose. Lone workers are employees working out of sight and sound of others for periods of time throughout their day up to entire shifts. Without qualified people around to help or despatch responders, these individuals are particularly vulnerable to injury or a health event. Lone working presents a unique challenge for employers that requires assessment of risks and hazards, efforts to mitigate them, plus a program to ensure lone worker well-being around the clock. The United Kingdom is one of the most successful nations when it comes to workplace safety, in large part due to formal parameters outlining the responsibilities of employers. Stringent regulations and adhered-to industry best practices help ensure that employees can return home safely at the end of the day. BS8484 defines the industry-leading code of practice for lone worker equipment and monitoring services in the United Kingdom. “Our stringent safety regulations help to ensure that we consistently achieve success in keeping people safe while at work,” said Gavin Boorman, Managing Director at Blackline Safety Europe, Ltd., a fully-owned subsidiary of Blackline Safety Corp. “The latest BS8484: 2016 standard underscores the UK’s safety leadership by providing lone worker product and service providers with a code of practice that allows the despatch of a police Level 1 response.” In particular, BS8484 enables certified service suppliers to bring the highest level of emergency response (Level 1), not available through the potentially slow 999 service. The introduction of Blackline’s G7c disrupted the safety monitoring and gas detection arenas by integrating 3G connectivity and a host of industry-first capabilities, to enable more efficient and reliable lone worker monitoring. The risk that an employee’s call for help could go unanswered is mitigated by connecting workers directly with live monitoring personnel, from wherever they may be working. Connectivity is also necessary to ensure the fastest possible emergency response. The live monitoring team follows tailored emergency response protocols and when required, escalating to the highest levels of police, ambulance or fire — only allowable using a BS8484 certified solution. G7c is the only combination lone worker monitoring and gas detection product currently on the market that is BS8484: 2016 certified. Relevant lone worker policy plus innovative employee-worn technology can mitigate the potential risks that lone workers face every day. G7c features automatic fall and no-motion alerts, plus an automated check-in process — should a worker fail to confirm their safety after a set period of time, G7c automatically communicates the alert to monitoring personnel, empowered to despatch the necessary emergency response, up to and including police. A manual SOS latch can easily be pulled in the event that a worker needs to communicate with their monitoring team — should they be faced with a threatening confrontation or even just locked out of their vehicle in the cold. Worker location and safety status are easily viewed on a live map, so responders know exactly where to go. Explore our Lone Worker Technology Checklist to discover how best to meet the safety needs of your lone workers. Let us know if we can help you explore your scenario to determine how G7 solutions can help to increase your teams’ level of safety while increasing productivity. Reach out to our team at Blackline Safety anytime — we have your back.